The 42 year old former child star Tang Yat Kwan has been out of show business for years. He once worked in the insurance industry. 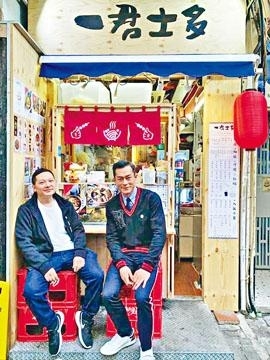 Earlier he opened a noodle shop in Yau Ma Tei. 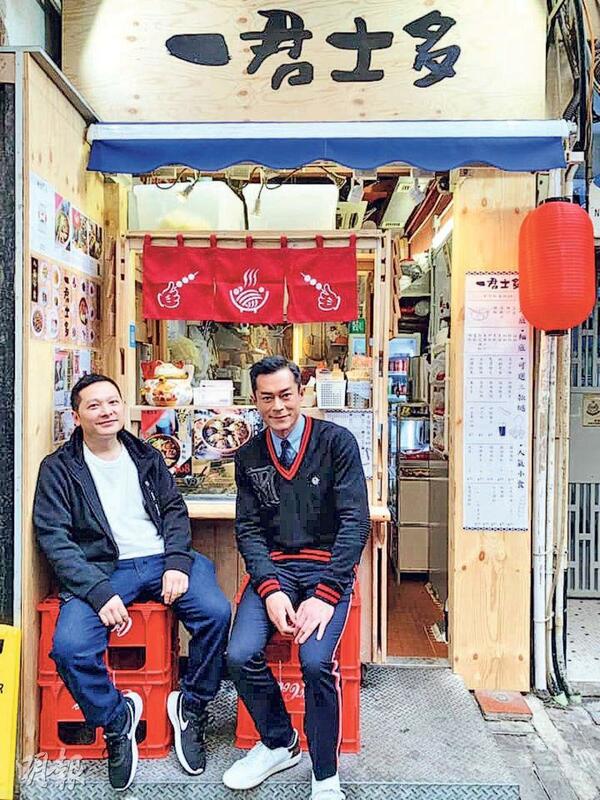 He worked with Louis Koo Tin Lok on TVB series like A RECIPE FOR THE HEART, BURNING FLAME and STEP INTO THE PAST, built a friendship as they kept in touch. Goo Jai once said that he would visit the noodle shop when he had time. He was true to his word as two days ago he went to the noodle shop and fulfilled his promise. He tasted Tang Yat Kwan's noodles and curry fish balls. Tang Yat Kwan posted their photo in front of the store on social media and everyone commended Goo Jai for keeping his promise.